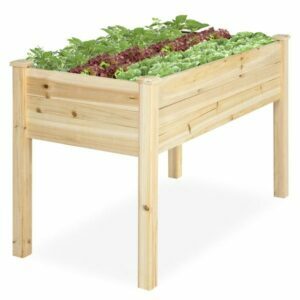 Raised Cedar Wood Garden Planter $69.99 Shipped From Best Choice Products! 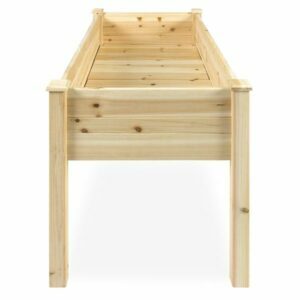 From now until Sunday, March 3, Best Choice Products has this Raised Cedar Wood Garden Planter on sale for only $84.99! The regular price is $181.99! But even better, pay only $69.99 when you use the code PLANTER at checkout! Give your plants and vegetables a healthy home for growth. This raised gardening bed is designed with plenty of room for plants to grow to their full potential. The Cedar wood build ensures durability whether in- or outdoors; place it on the patio, in the garden or greenhouse, or other areas of the home. With no tools required for assembly, it will be ready for gardening in no time! Hurry over here to pay only $69.99 when you use the code PLANTER at checkout!